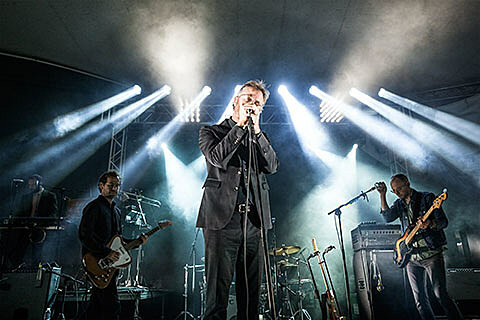 The National will continue to tour in 2014 and their upcoiming North American trek brings them to Austin City Limits Live at Moody Theater two nights in a row (April 21 & April 22), with Warpaint (who have their own big tour) opening both shows. Tickets for both nights go on sale Friday (1/24) at 10 AM. In addition, their 2013 documentary, Mistaken For Strangers, is premiering late March in Los Angeles. It features footage filmed by Tom Beninger, roadie and brother of frontman Matt Beninger.